president; Tory Patterson, second vice president; and Larry Day, visiting instructor of Finance. Student officers from Thee Investment Club are taking the initiative to create conversation regarding financial investments at their HBCU.The organization’s president, Don Jones plans to educate JSU students on the importance of financial investing. Jones says, “Students get thousands of dollars from refund checks and all of that money is gone the next month; because my peers don’t know how to apply the financial lessons that they are being taught to their personal lives. We want to change that culture by building a foundation that teaches our peers how to manage their day-to-day finances.” Thee Investment Club was created in 2009, allowing students to freely express their passion for finance and inform the campus population on the importance of investing. The organization’s motto is to invest in yourself a nd the individuals around you. Club officers are aiming to create financial forums on and off campus by collaborating with the Campus Activities Board and Student Government Association. Initially, the principal purpose of the club was to focus on educating their peers in the area of business; but recently they’ve expanded their recruiting efforts to student majors from various colleges around campus. The American Institute of Certified Public Accountants has named College of Business doctoral students Joye Norwood and Phylicia Taylor as recipients of its 2018 Minority Doctoral Fellowship. Both students will receive aid in the amount of $12,000 to assist them during their academic journey. CPA-certified or plan to attain the CPA credential, have a master’s degree or have worked full-time in the profession of accounting for at least three years, and be an ethnic minority. Twenty-three other doctoral students from various universities were also chosen for the AICPA Minority Doctoral Fellowship. Dr. Glenda Windfield, director for the Deep South Synergy Teachers of Visually Impaired Project (left); Dr.
Jackson State University is working to improve the quality of life for students who suffer from visual disabilities. The university’s proposal to modify the Master of Science in Special Education program to include a concentration in visual impairments was approved by the Mississippi State Board of Education earlier this year. “This will greatly help the community because we will have proficient ready individuals who have the expertise to work with children with visual impairments,” said Dr. Glenda Windfield, project director for the Deep South Synergy Teachers of Visually Impaired Project. Out of 600 applicants nationwide, Dr. Rodney Washington, associate professor of education, was chosen to participate in the Robert Wood Johnson Foundation’s Culture of Health Leaders Development Program. The three-year program seeks to connect leaders from all perspectives and backgrounds whether its technology, business, engineering or urban planning. Additionally, Washington said that the program’s mission is to assist in the cross-collaboration of people from every sector, field and profession with addressing systemic inequities and finding new solutions to the nation’s most entrenched health challenges. The professor explained that unlike traditional leadership programs that focus on the individual, this one is grounded in the recognition that it will take diverse thought and perspective to move the needle on critical health issues impacting the country. Zenovia Lauren-Bradley was recently crowned Miss Black Mississippi USA 2019 by the Miss Black Mississippi USA Pageant, a community-driven organization committed to addressing health and education. As queen, she received a scholarship package valued at over $4,500 with an all-expense paid trip to compete at the national pageant in Washington, D.C. Her duties include community service, volunteerism, exercising her platform and, of course, being a role model to youth. Mario Azevedo, dean of the College of Liberal Arts, recently published the book “Historical Dictionary of Chad” by Rowman & Littlefield. It is one of many published works he has released over the past 10 years. The book chronicles the history of Chad, a country of some 56 million people in North- Central Africa, focusing on alphabetical entries that highlight the country’s history, important personalities, history, politics, the economy, international relations, religion, health and culture. The Margaret Walker Center and the College of Liberal Arts collaborated to host a student-led forum that analyzed racial and socio-political themes found in the movie BlacKkKlansman, The Hate U Give, a novel turned film by Jackson native Angie Thomas, and Jubilee, a historical novel by Margaret Walker. Smith asked the five-student panel if they found value in writing or rewriting narratives that tell dark moments in history; things that some people do not want to recollect or share. The online master’s in history program has been ranked No. 3 among 16 universities according to a report released by affordablecollegesonline.org. The ranking is based on four criteria: acceptance rates, graduation rates, cost of tuition and the number of full-time students. 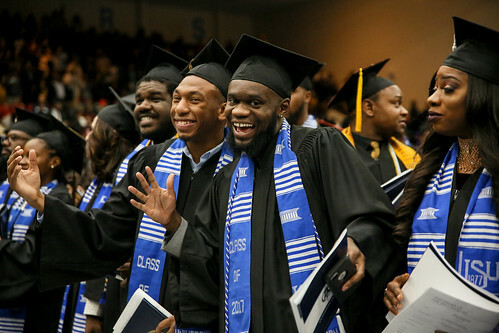 “This honor represents a major victory for Jackson State University and the Department of History and Philosophy,” said Dr. Mario Azevedo, dean of the College of Liberal Arts. Also professor and chair of the History Department, Azevedo said that he was pleased to beat out such well-known institutions like Indiana State University, the University of Louisiana at Monroe, University of Memphis, Western Kentucky University, the University of North Alabama, and the University of North Carolina at Wilmington. “This encourages us to put further efforts to improve our program and make it second to none in the country,” he concluded.